According to the 2010 census, 3153 citizens are located in Saline County. Within the county, the City of Shannon Hills has a full-time police department and a full-time mayor. Shannon Hills has a volunteer fire department with a ISO rating of 4. Shannon Hills has its own water/sewer and street department. 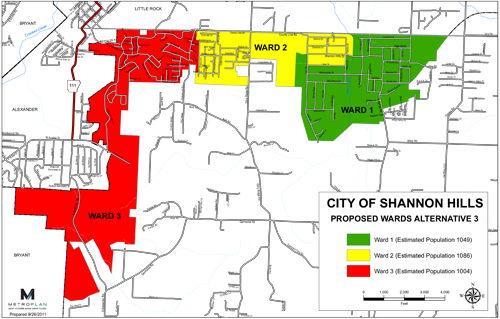 Shannon Hills City Government consists of the mayor, a six member city council, a city recorder and treasurer.